Recently, there was one of the largest cyber attacks ever that hit PCs in countries and businesses around the world. Today, I would like to talk about this issue that occurred during mid of May 2017. Well, a vulnerability first uncovered by America’s National Security Agency and then released by hackers on the internet is now being used in one of the most prolific cyber attacks ever, causing massive tidal waves of malicious software and even bigger waves for victims. It’s called WannaCry, and it’s brought computer systems from Russia to China to the UK and the US to their knees, locking people out of their data and demanding they pay a ransom or lose everything. So far, more than 200,000 computers in 150 countries have been affected, with victims including hospitals, banks, telecommunications companies and warehouses. 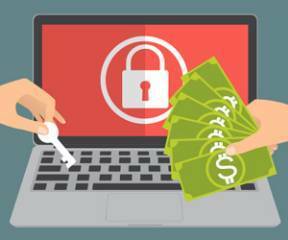 It’s the name for a hacking attack known as “ransomware,” that holds your computer hostage until you pay a ransom. The way it works is that once it infects a computer, it encrypts — or basically scrambles — all the data. Then the program puts up a screen demanding you pay money to get access back. Typically the price increases over time until the end of a countdown. Another diabolical twist is if the ransom isn’t paid in 72 hours, the price could double. And after a few days, the files are permanently locked. The ransom that was demanded for decryption of files appeared to be 300$btcions.